We plan our litters first for ourselves hoping to achieve a show prospect that meets our standards for health, temperament, soundness and conformation. 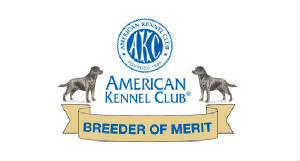 All of our breeding dogs have OFA hip, elbow, heart and eye clearances as well as at least one parent certified clear for PRA, EIC and HNPK. All puppies are placed on an AKC Limited Registration and should be spayed or neutered at the appropriate time, which is approximately 18 to 24 months. Puppies are examined by our vet and given their first puppy vaccine. They are also micro-chipped at that time. Their eyes are checked by a veterinary ophthalmologist. They are sent to their new homes with a bag of Orijen Puppy Large, a collar, leash and a toy. We love when our families keep in touch and we are always available for any questions. We will always take one of our puppies back for any reason at any time in their lives. Black and Yellow puppies expected April 2019. 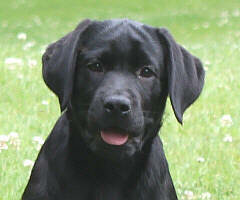 Bea, Brookberry's Good Thymes, has been bred to Cooper, GCH Cedarlake's Inside Scoop. Both parents have all the appropriate health clearances and great temperaments. Contact Donna for more information at 973-729-6211. 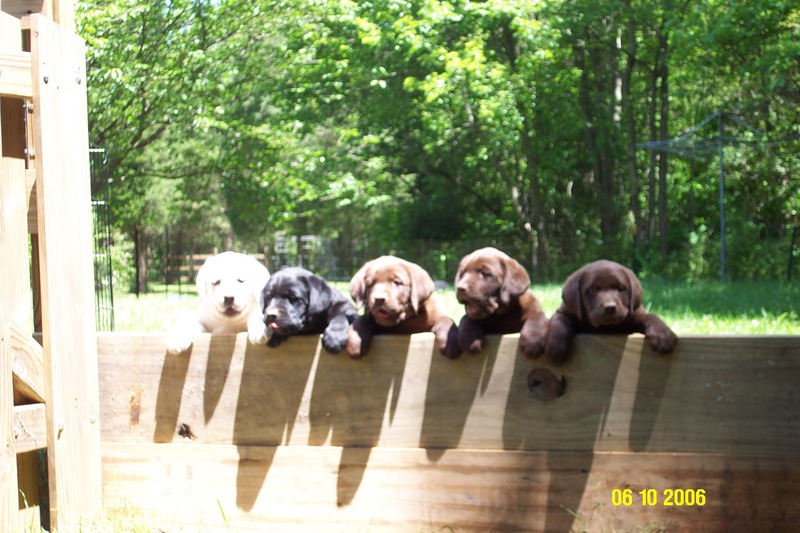 Black Puppies born February 20, 2019. "Marcus", Brookberry's Special Storm X "Josie", Cedarmarsh's Vie De Boheme. Both parents have all their appropriate health clearances and great temperaments! Contact Sherri Mattheis for more information at 908-689-5895 or cedarmarsh@comcast.net. Her website is www.cedarmarsh.com.